15,000 solar panels will provide clean energy to Florida residents. 13 football fields. That’s the size of a new solar power plant in Florida opening Monday, August 1. The new Duke Energy owned facility sits in Osceola County, FL on 17 acres of land and containing nearly 15,000 solar panels. It produces nearly four megawatts of carbon-free energy, according to a press release, and will provide clean, renewable energy to Duke Energy customers in Florida. Florida-based Advanced Green Technologies was commissioned to design, engineer and construct the facility and construction and is the first in Duke’s long plan to install 35 megawatts of solar by 2018 to help provide residents with more diverse clean power sources, according to the release. Duke Energy Florida is helping approximately 90 residential and business customers a month install private solar on their property. Earlier this year, the company unveiled a 5-megawatt solar power plant in the shape of Mickey Mouse to serve the Walt Disney World Resort. 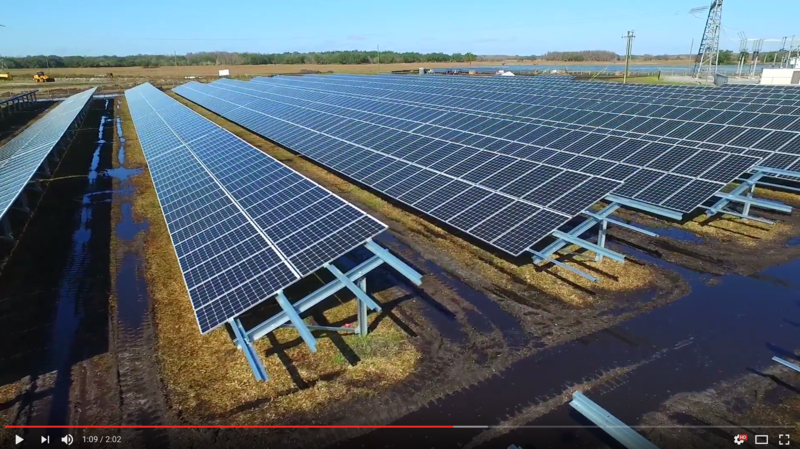 Check out the video below to see exactly how the Osceola Florida solar facility looks. Utility solar plants such as this one help to create jobs and diversify America’s energy portfolio. Plants like these also help to replace traditional, fossil fuel burning energy sources, preventing more CO2 from being emitted into the atmosphere. For those who can’t get solar power from their local utility company, you can put your rooftop to good use! 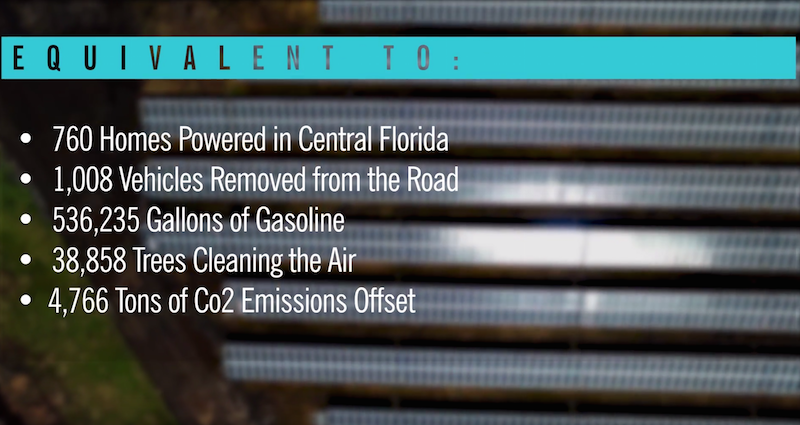 It’s a great time to adopt solar energy in Florida based on some great Florida solar incentives. Since 2008, Florida residents have been able to take advantage of a net metering program that allows any electric utility customer generating up to 2 Megawatts of power to use net metering, which provides a retail rate credit for kilowatt-hours of electricity delivered to the utility, rolled over from month to month, and paid out in cash by the utility once a year at the avoided cost rate. That, plus the continued decrease in up-front costs of solar panel systems has make it a great time to have Florida solar energy systems. You can find trusted solar power companies in your area and receive free quotes on solar panels by filling out the short form below.